Mars geologist Phil Christensen says we're still short on understanding the red planet. "The devil continues to be in the details," he said at this week's Eighth International Conference on Mars. Astrobiologist David Des Marais said Mars research today adds up to "lots of observations but no overarching [breakthroughs]." 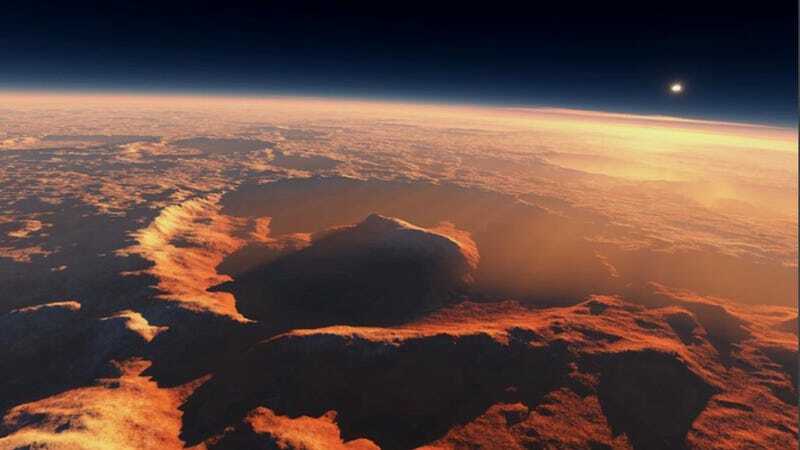 Scientists seek fresh approaches to deciphering red planet’s history. Mars experts struggled last week to reconcile their detailed geological maps with their inability to explain how water could exist for extended periods. If, billions of years ago, the Martian atmosphere had consisted mostly of carbon dioxide as scientists suspect, it would not have kept the planet warm enough for liquid water to exist for long periods of time. Mars instead might have been much like Antarctica today, with high-elevation areas that remain frozen even at the height of summer. "This is completely different than what we thought about before," says James Head, a planetary geologist at Brown University in Providence, Rhode Island. Some modellers are still trying to figure out a way to make a warm and wet Mars work. Planetary scientist Ramses Ramirez, of Pennsylvania State University in University Park, proposes that volcanoes belched out enough hydrogen to help heat the atmosphere and allow liquid water to flow (R. M. Ramirez et al. Nature Geosci. 7, 59–63; 2014). Others invoke a temporary warming brought about by sulphur spewed from ancient volcanoes — but even that would not have kept the planet toasty enough for liquid water year-round, says Laura Kerber of the Pierre and Marie Curie University of Paris. Fixing the disconnect could take time — and new technology. Planetary geologist Bethany Ehlmann of the California Institute of Technology in Pasadena says that the next generation of instruments to explore Mars should be able to probe rocks in extreme close-up. Her ideal gadget would be a high-resolution camera combined with a spectro­meter that could gather information on minerals in the rock in unprecedented detail. Such close-up analysis could reveal more-precise information to help to unravel the history of a particular rock, how it formed and what that might say about past environments, she says.